This is sort of Out Of The Closet series of post, because the corset top was finished last summer in Athens! The skirt was also cut out while still living in Greece and laid all winter in my drawer until I finally got to it again a few weeks ago. 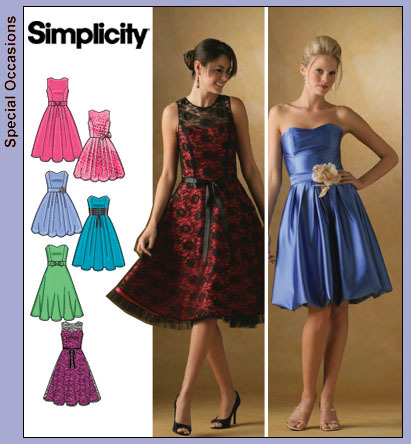 It all started with using Simplicity 4070 for Stefania´s dress. 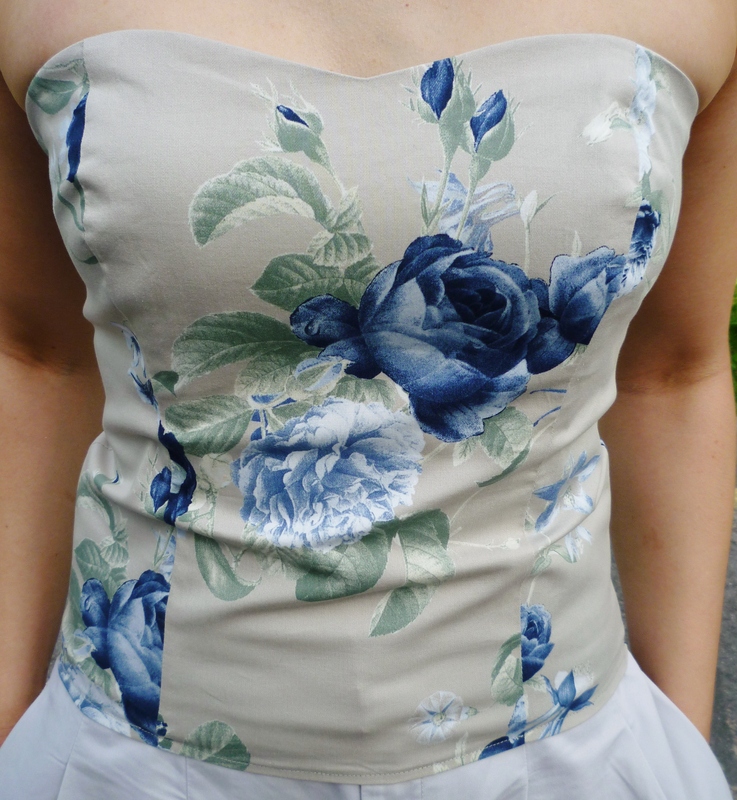 It was the first time I made a strapless top and the first time I used Rigilene boning. As the project turned out well, I got excited and decided I needed a corset top in a similar style. I found this beautiful cotton stretch in Athens and bought it heavily discounted as it was the last 1.7 m on the roll. Sometimes I really miss the fabric shops in Athens, where the salesmen generously cut more fabric than asked and drop the price if you know when and how to ask! If you are interested, I found the same fabric online here. Anyway, the top was pretty straightforward to sew after the experience with the dress. I also could use the leftovers of the lining for her dress, although it would have been better if it was slightly stretchy as well. 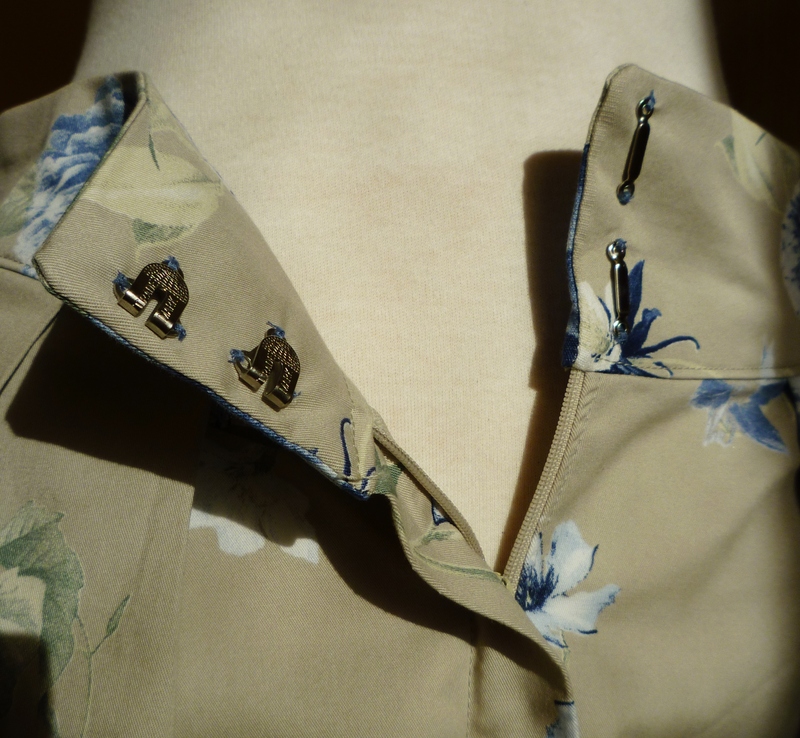 Nevertheless, the most difficult task was finding a zipper in suitable shade and length. This is also the reason why the top is a tad longer than I wished – I was not able to find an open-ended zipper of perfect length. You can see some “gathering” on the upper edge on both sides of the zipper. 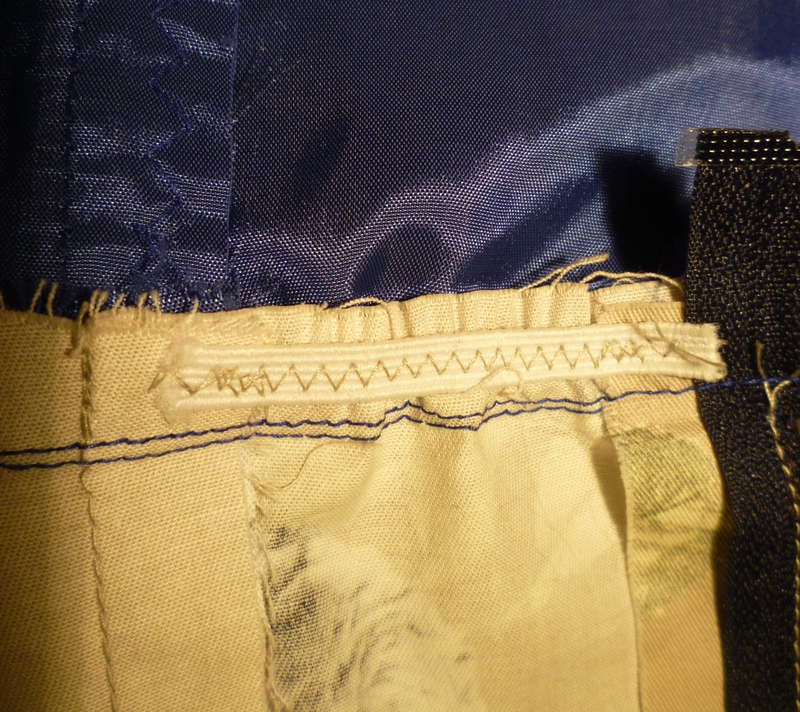 I added a strip of elastic between the lining and the fabric as I was afraid for gaping. I don´t know if it made a difference or not, but the top feels comfortable and I don´t feel like I am losing my clothes as it sometimes happens with strapless tops and dresses. The only downside are the horizontal folds when worn. 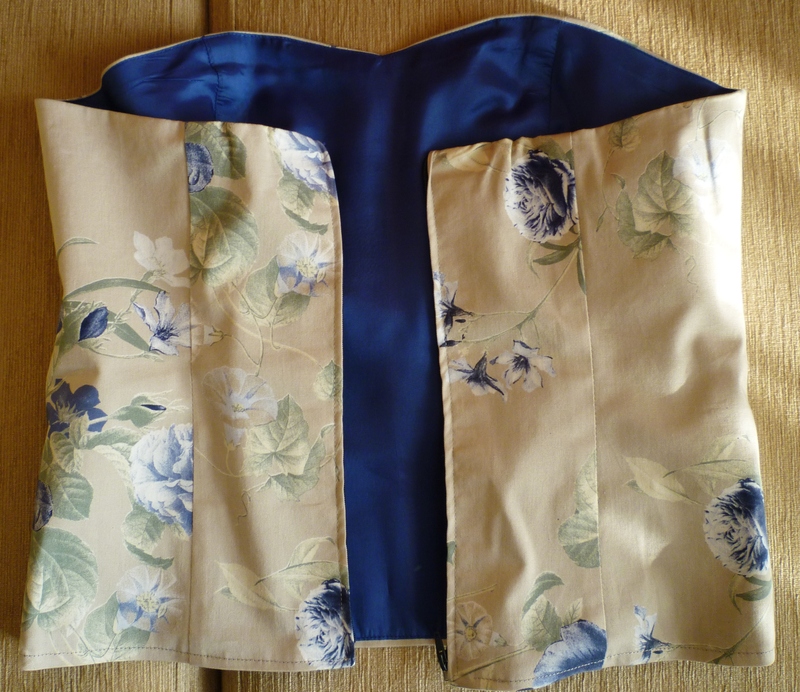 I think it has to to with the fabric being elastic and the lining non-stretch. I am trying not to pay attention to this, though! For the skirt I used Burda 05-2012 model 118/119 pattern. 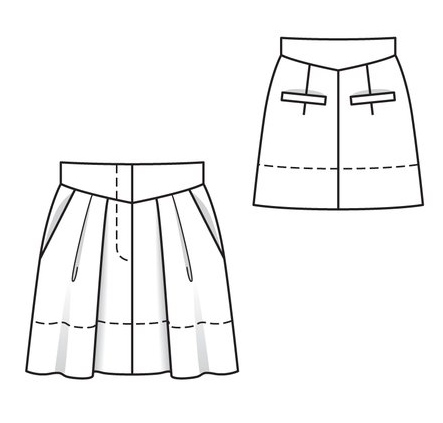 I have a similar ready-to-wear skirt from Zara and love the style, I really enjoyed sewing one up myself, especially as the fabric is great to work with. The technical drawing is for model 118, with the welt pockets on the back, but I omitted them as my fabric would have disguised them with the big print. As always I did not follow Burda directions for the front fly, but relied on the tried and tested tutorial video instead. You cannot go wrong with this technique! 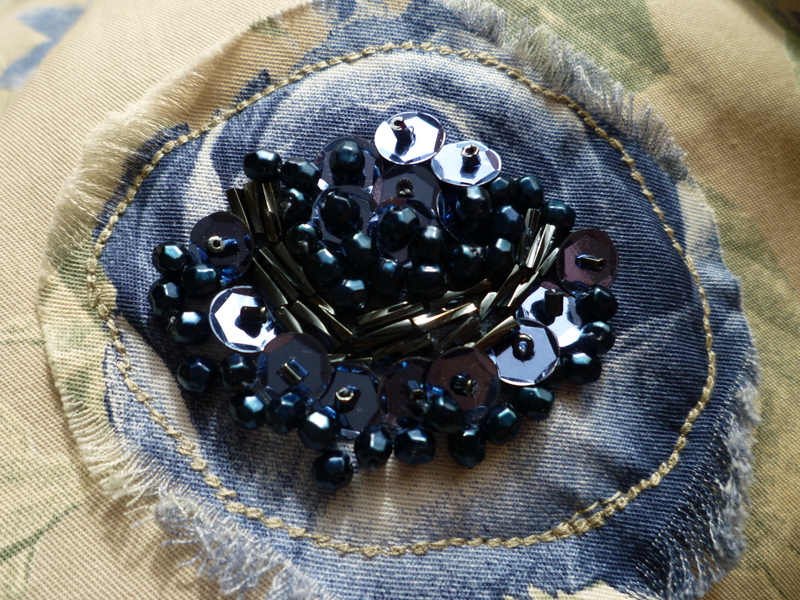 The sequined details on the front side of the skirt are not simply the result of trying to personalize the garment, but a try to cover up for bad pattern placement. 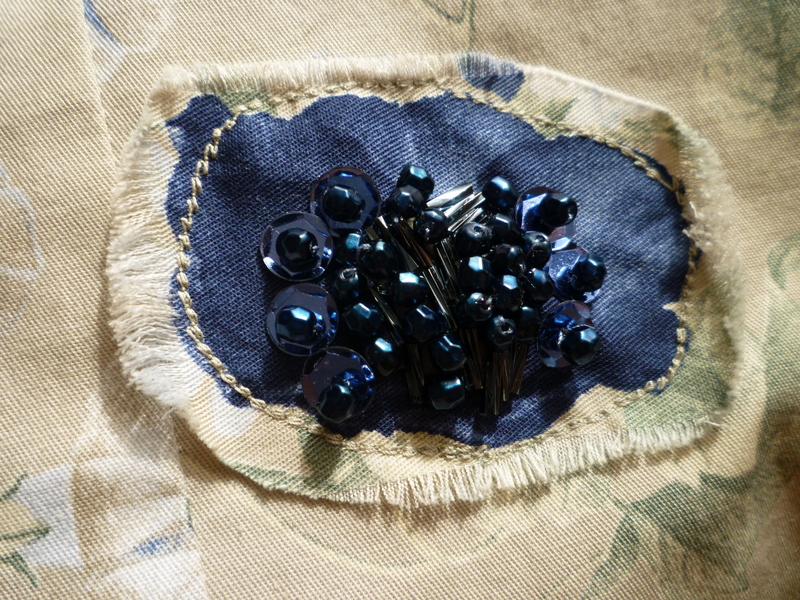 Although the fabric looks heavy with flowers at first glance, I wasted a lot of it, because I tried to “catch” as many dark blue roses as possible. 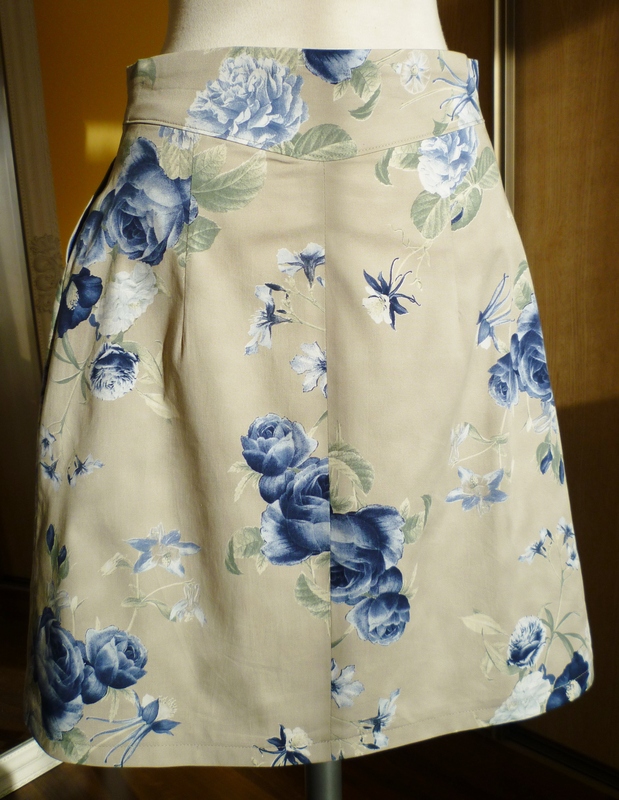 And still, when I looked at the skirt, it looked a bit empty, plus one rose was cut in the middle for the front center seam and I could not leave it like this. 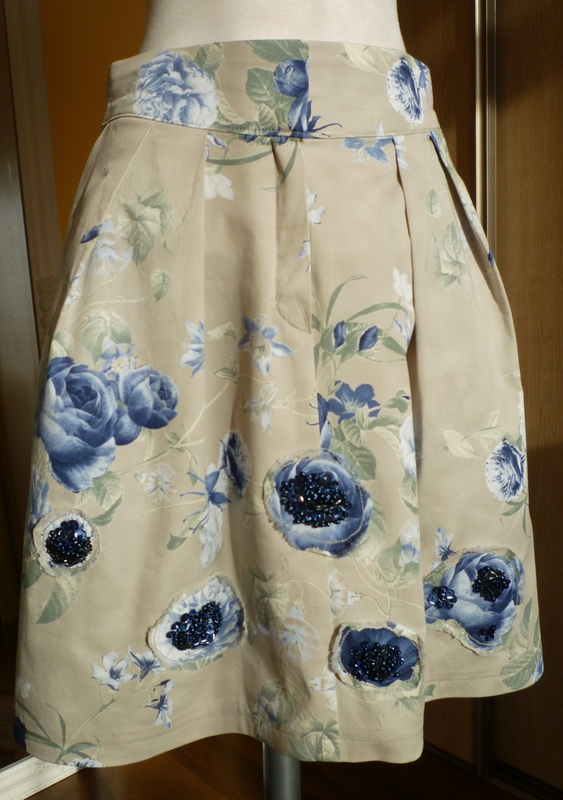 So I got the idea of creating a fun effect by cutting out several roses and flowers from the fabric, use sequins to add interest and sew them randomly on the skirt. Of course, there is nothing random about the placement, but I tried to make it look as if I threw them there accidentally, while they are actually strategically placed to cover up and emphasize the flower print. I love the result, the contrast between the fringed edges of the details and the sparkle of the sequins. 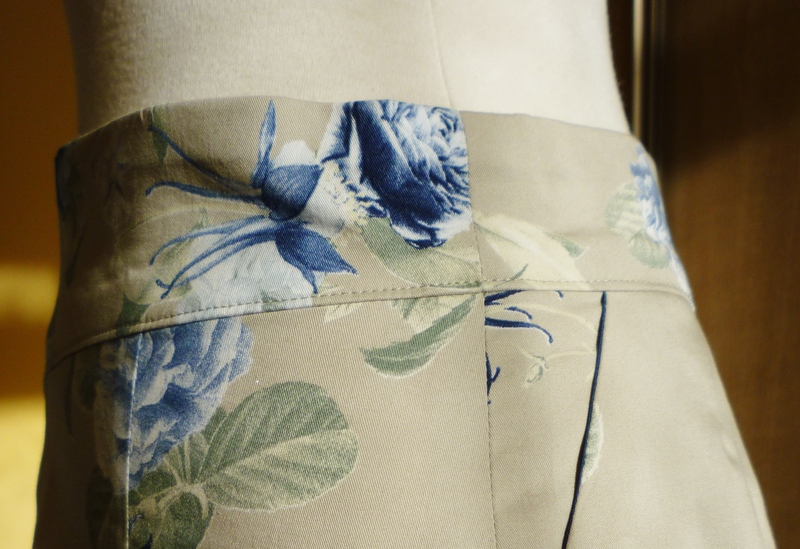 I had exactly enough of lining left from Stefania´s dress, to use it for the pockets of the skirt as well! So the two garments make up a nice set that can be worn as separates and also dress up or down according to the occasion. Yesterday I chose to wear wooden platform heels for dinner downtown. The Roberto Venuti shoes were also bought from Greece back in 2010, but are basically unworn, although I love the style. I could find a photo of dark brown version of them on internet. I must say I prefer mine! And last but not least, I need your help! Any fabric shop recommendations for Poland, namely Warsaw and Krakow? Thank you in advance! Great job! Love your flowered top/skirt with the awesome sandals! Sa oled nii ilus.. oh.. kuidas ma tahaks ka nii kannatlik olla et nii ilusaid asju õmmelda. Aitäh, Tuuliki! Kui ma õigesti vihjest aru saan, siis on ju super! Jap. On jah super! Eks ma anna teada kui täpsemalt miskit paigas on. Oh wow, you look absolutely stunning in this outfit! I’ve never made a corset with boning, but find it intriguing. I made some Burda pants that had a front fly and used the directions that came with the pattern and it was SO difficult. They were the first front fly I’ve ever inserted so knew no other way. I’m going to bookmark that link you posted! Oh, boo! I tried clicking on the front fly tutorial link and it does not work! I think it’s missing some info. I have fixed the link now and it should work! I hope it helps! That’s great! I’ve now bookmarked it and will watch it later. I will check, what is wrong with the link and replace it, because this will make inserting the front fly a piece of cake for you as it did for me! Luckily I was so intimidated by the Burda instructions that I checked online for easier solutions before sewing the front fly for the first time. This is sooo pretty! I love your idea to add flowers with the sequins, it works really well. 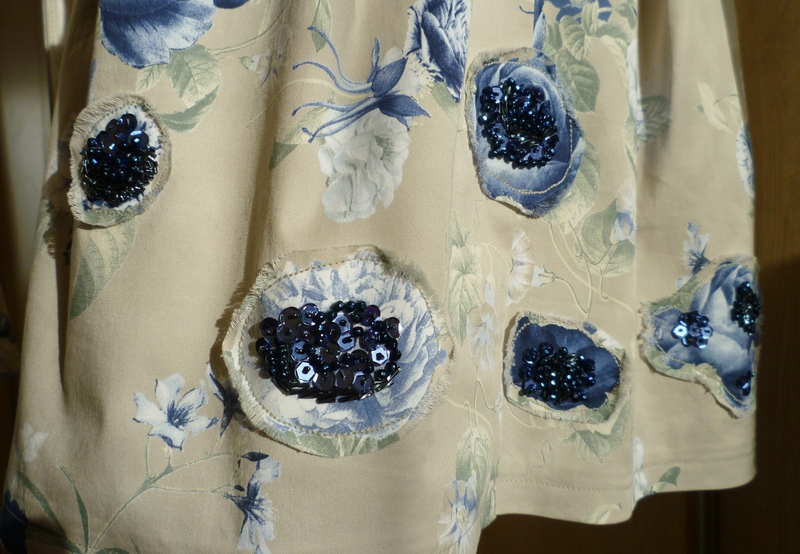 I never think to make appliqués for garments, I will have to try to work something into a project. And the corset top, wow I don’t think i am brave enough to go there! Yours looks perfect though, I am very impressed! Thank you so much! 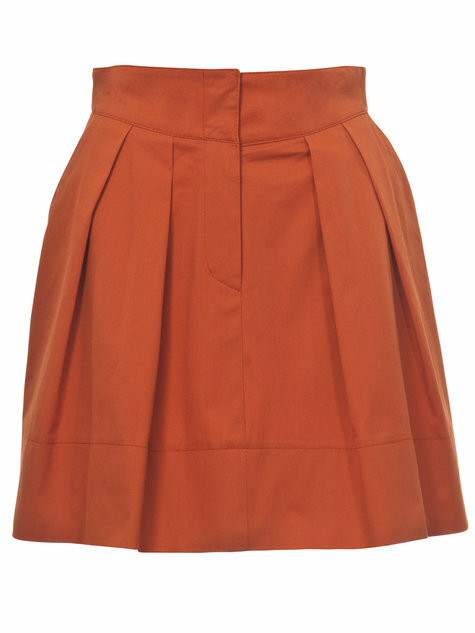 There is nothing too tough about a simple corset top like this. 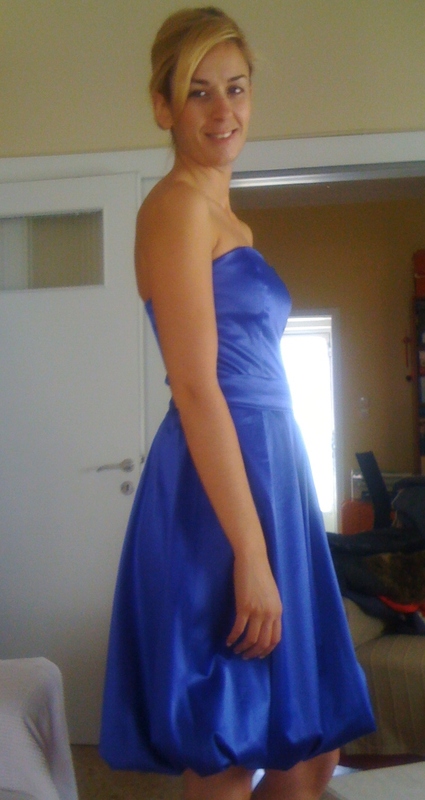 My first one ever was for the blue dress for my friend and I managed it with the first try, so you can do it as well!